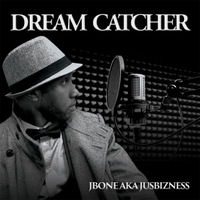 JBONE AKA JUSBIZNESS | www.griphop.com | Audio : "WHEN I'M GONE"
"WHEN I'M GONE" IS OFF THE "CANT BUY SWAG ALBUM" available on itunes & cdbaby.com. This song was also featured on the VH1 show Single Ladies starring LisaRaye & Stacy Dash. "WHEN I'M GONE" is a song with deep lyrics regarding the loss of love, friendship and the appreciation of real hip-hop.